Continuing on the (now vintage pens!) Esterbrook trend! For the traveling sales person, Esterbrook had handy cases with slots for various Esterbrook pens (such as the lovely pastels), along with smaller slots across the top for nib units, with corresponding numbers. 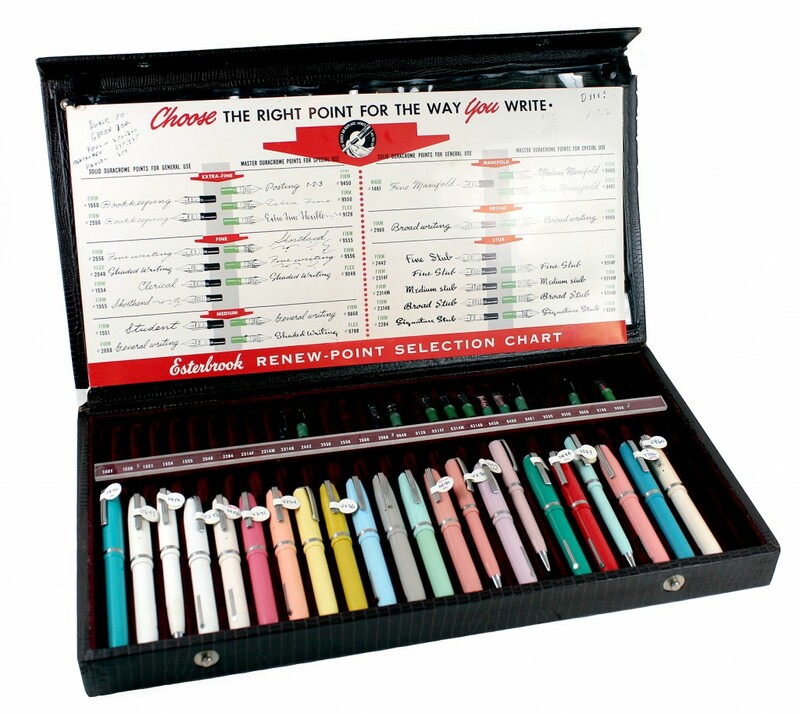 There was also a nib selection chart with writtng samples tucked into the case. With so many nib units to choose from, it only made sense to carry a selection of pens and nib units for potential customers. I can think of a few people who would probably enjoy this for personal use! This entry was posted in Vintage Pens and tagged Esterbrook, Fountain Pens, Go Pens, GoPens, Vintage Fountain Pen, Vintage Fountain Pens, Vintage Pen, Vintage Pens. Bookmark the permalink. Follow any comments here with the RSS feed for this post. Post a comment or leave a trackback: Trackback URL.